When ingested or inhaled, lead is highly toxic and can cause a variety of neurological and other health issues. Children under the age of six are particularly susceptible to the effects of lead poisoning. Once absorbed into the system, lead can hinder the brain and organ development of young children. Lead can also be passed from a pregnant woman to her unborn child. According to federal law, anyone buying or renting a dwelling built prior to 1978 must receive an informational pamphlet regarding the hazards of lead-based paint and be informed about any known hazards. The buyer or renter must also sign a statement confirming that the seller or landlord has complied with the notification requirement. When Is Lead Paint Dangerous? 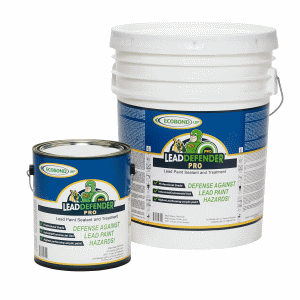 When dried and fully adhered to a surface, lead paint is generally not a health risk. According to the United States Environmental Protection Agency, lead paint becomes dangerous when it starts to crack, chip, or peel or becomes chalky. The dust or chips can easily be inhaled or ingested. Children are particularly at risk since they may chew on surfaces or objects covered in lead paint or eat small paint chips. How Do I Test for Lead Paint? According to the EPA, an EPA-approved testing kit is an effective way to rule out the presence of lead when used by a trained professional. It is not as clear whether a layperson can accurately rule out the presence of lead by virtue of a negative test result. All lead test kits approved after September 1, 2010, must provide the user with both a positive and a negative response to the presence of lead. Older tests only have to provide a negative response. While there are three lead test kits recognized under the old criteria that are still approved for use, there are no test kits currently available that meet the upgraded standards. A surface-by-surface inspection by a certified lead inspector or risk assessor is the most accurate method of determining the presence and location of lead paint in a home or public facility. How Is a Lead Inspection Different From a Risk Assessment? A lead inspection is helpful in identifying potential sources of lead exposure or the presence of lead-based paint. Lead inspections are often performed prior to renting, purchasing, or renovating an older home. A lead risk assessment is often performed in cases of known lead exposure to identify the location, type, and severity of the lead hazard in order to design a remediation plan. It is also possible to have an inspection and risk assessment performed at the same time. Once the sources of the lead exposure are identified, an abatement service can use specialized techniques to remove the hazard. Anyone who performs lead inspections, risk assessments, or abatement services must be certified and comply with specific guidelines and practices.